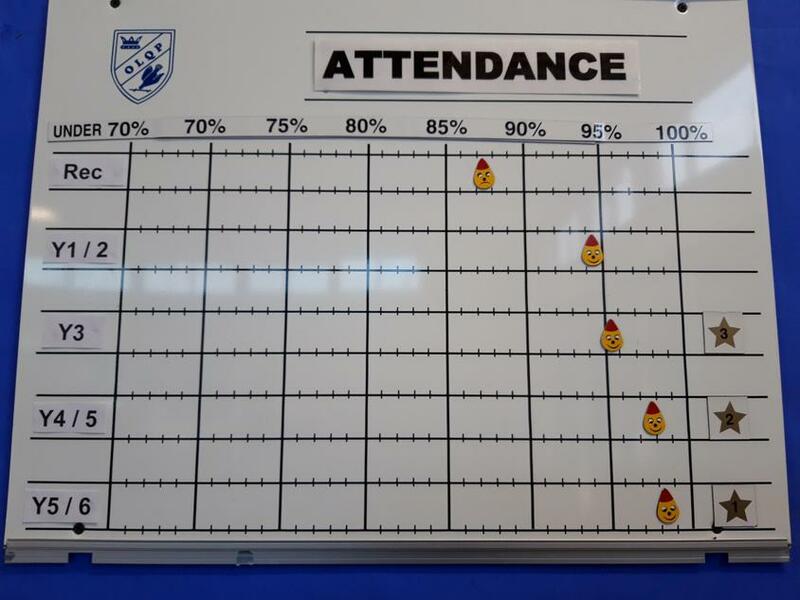 Here's how our attendance board looks this week. Slightly lower whole school percentage than last week at 94.5%, with 3 classes improving, and 2 classes falling. Please ensure your child is in school on time every day. Thank you.